**Mandatory country club membership fee required to be paid by buyer at closing, see attached documents. 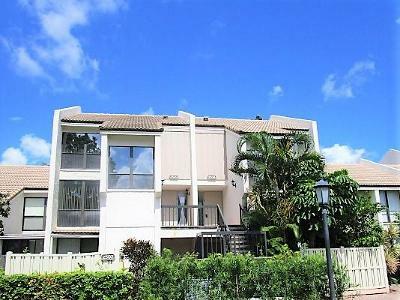 ** *Unique style townhome located in the Country Club Community of Bridgewood Boca West. This 2 bedroom, 2.5 bathrooms has an open concept floor plan, living/dining combo, tile through-out the living area, carpeted bedrooms. Sliding glass door from dining area leads out to the under roof open balcony with views lake and garden views. Boca West Country Club is a private resort with newly 400, 000 square feet of Clubhouses, offering numerous unique dining venues and cocktail lounges, a Fitness Center & Spa, card rooms, activity rooms and ballrooms. This all in addition to the four championship Golf Courses, 30 Har Tru Tennis Courts and eight pickleball Courts.